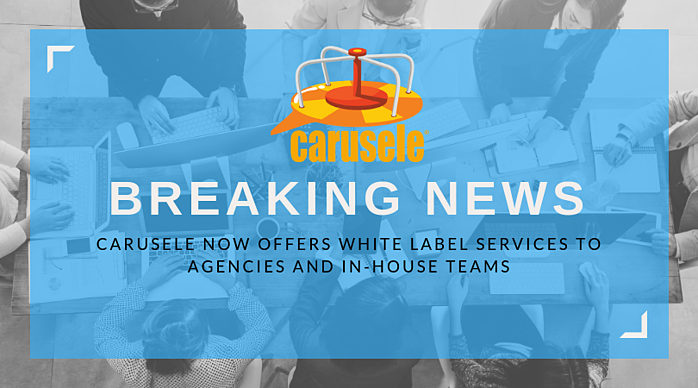 Carusele, a leading influencer marketing agency, today announced a new offering of white label services for agencies and in-house marketing teams. Carusele can apply the experience of over 150 influencer marketing programs for leading brands to those organizations that may find it more efficient to outsource help on a case-by-case basis rather than build the capability internally. The term “white label” typically refers to products produced by one organization and re-branded and resold by another. Carusele offers individual services, including list building, influencer selection and negotiation, influencer content creation, compliance monitoring, content syndication and more. For brands that prefer it, Carusele also offers fixed price programs run in their entirety behind the scenes, many of which include guaranteed results. Carusele, which won the 2017 Small Agency of the Year Award at the Shorty Awards, utilizes a hand-crafted network of over 55,000 content producers to produce premium influencer campaigns for leading brands and retailers. The company was spun out of Ignite Social Media (the 2016 Social Media Agency of the Year Worldwide) in 2015. Carusele is also known for developing proprietary algorithms for measuring influencer marketing success.